If you have a family, it’s likely that you invested in life insurance as a way to provide your loved ones with financial security in the event that you pass away. However, you may be wondering if, when you do pass away, the proceeds from your life insurance policy will be taxed. There is good news for you! Generally, the payouts from a life insurance policy are not taxable. That means that the beneficiaries of your policy should be able to receive the full amount of the death benefit that your policy offers. However, there are occasions in which the benefits of a life insurance policy will be taxed. As always, tax issues can be complex. We advise our clients to consult with a CPA or tax professional if they have any specific questions regarding their personal taxation. More generally speaking, to find out how much of your life insurance proceeds your beneficiaries will receive, keep on reading to learn about the conditions of most policies. When the payouts go to your beneficiaries. Your beneficiaries will not have to pay taxes on your life insurance benefits after you pass away, which means that they will be able to receive the full amount granted by your policy. However, there are exceptions to this, which we will discuss below. When the payouts go to your spouse. Your spouse will never have to pay taxes on your life insurance benefits, no matter what. When you remove cash from your policy as a loan. If you carry a permanent life insurance policy, it will acquire cash value over the time of the policy. The gains that are accumulated in your cash value account will not be taxed if you take the money out as a policy loan (unless the policy is a modified endowment contract). Keep in mind that addition interest does accrue if you carry a policy loan. You opt to surrender payouts on your policy. If you make the decision as an owner of a policy to no longer carry the insurance, you have the option to surrender for the cash value. If you do so, you will receive a lump sum. As long as the lump sum is less than the amount you paid into the policy, you will not be required to pay taxes. In these situations, your life insurance benefits are not taxable. As such, your beneficiaries – or you – will not have to pay taxes on the benefits that are provided by the policy. When are Life Insurance Payouts Taxable? When there is interest on the payouts. If your beneficiaries decide to take the benefits of your policy in installments over a period of time instead of in one lump sum, your insurance provider will have to pay interest on the amount of the balance. In that case, the interest that accumulates will be taxed. Additionally, the death benefit is not immediately paid out upon death of the insured person, because proper paperwork needs to be filed, and the insurance company needs to make sure that the claim is not fraudulent. Certain states require that interest begins accruing immediately, or soon after death of the insured, even though the payout may take weeks to happen. This interest is taxable. If you make a profit upon surrendering the cash value of your policy. As mentioned above, if you surrender your policy and the amount you receive is less than you paid into it, you will not be taxed. However, if you surrender your policy and you receive more than you paid into it, you would be required to pay taxes on the amount of the benefits that exceed the amount you paid into it. This can happen as a result of investment returns. Keep in mind that dividends taken as cash are considered a return of premium, and reduce your cost basis in the policy. If you borrowed money against your policy and did not repay it, and you had a gain. If you hold a permanent life insurance policy, you have the ability to take out a loan against the cash value that has built up on the policy. However, you will be required to pay the amount you borrowed back, as well as interest. If the amount you borrowed is not paid back and if there is a lapse in the policy or you decide to surrender it, you will have to pay taxes on the balance of the loan that exceed the premium that you paid into the policy. Keep in mind that the proceeds of your life insurance policy are a part of your estate. 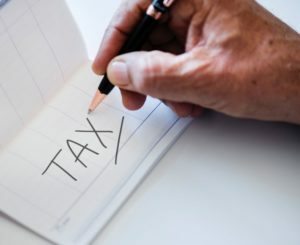 While your beneficiaries will not have to pay taxes on your life insurance payouts when they receive them directly, they may have to if the benefits become a part of your estate and your estate is large enough to be taxed. The value of estates that are taxed changes; for example, in 2018, estates that are valued at more than $11 million will be taxed. If you wish to avoid an estate tax, you should consider transferring your life insurance policy to an irrevocable trust. Doing so will prevent the payouts from your insurance policy from being comprised with your estate; however, the policy would have to be transferred to an irrevocable trust three or more years before you pass away, otherwise the proceeds will become a part of your estate and will be taxed. If you have a large life insurance policy, it makes sense to discuss the tax ramifications upon your beneficiaries with a professional planner. Every situation is different, and there is a lot of nuance in the tax code. There are also different types of life insurance, and it can be confusing whether money removed from a policy is interest, a loan, or a withdrawal. There are also different types of rider, such as the disability income rider, that pay benefits even while the insured person is alive. These benefits can be taxed. Suffice to say that while the tax code is complex and life insurance benefits can sometimes be taxable, it is generally the exception more than the rule. Most payouts are not taxable.